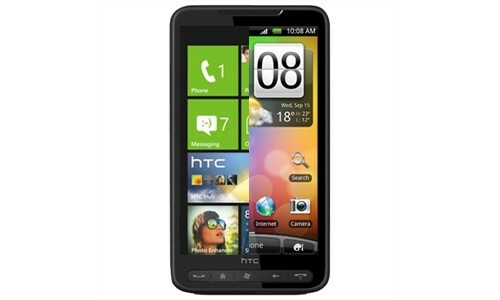 Vying for the title of the most customizable smartphone ever made, HTC’s legendary HD2 can now triple-boot Windows Phone 7, Android, and Windows Mobile 6.5, courtesy to posters at XDA-Developers. The 4.3″ phone, grandfather of HTC’s current large phones, has similar specs to today’s high-end smartphones (1 GHz Qualcomm Snapdragon, 512 MB RAM) and runs all three OSes smoothly (not at the same time though). The triple-boot system entails running Windows Mobile 6.5 as the native OS, with Android and Windows Phone 7 installed on the phone’s MicroSD card. See the thread for instructions on how to make sure you’re cooler than people who have just two OSes on their phones. Windows Phone 7 now fully works on the phone (earlier issues with accessing Windows Live services like the Marketplace have been solved). The HD2 has also seen ports of Ubuntu and Meego, so we could soon see a quad- or penta-OS HD2.